The BouncePro Trampoline 14 feet Replacement Mat, is stitched with 72 Triangle-Rings. This replacement mat is for Models TR-14ES-FSXT and TR-14ES-FEXE. 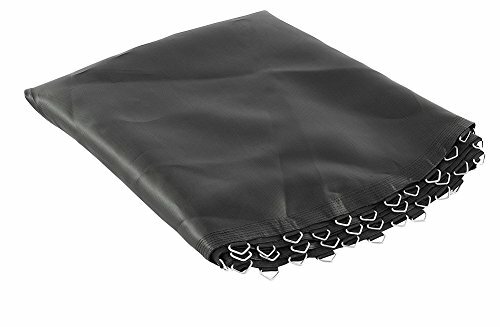 Our mats are designed to withstand the everyday beating the trampoline mat receives from your children and the harmful rays of the Sun Product Details: BouncePro. 14 feet Replacement Mat. Black. 72 v-Rings. Models: TR-14ES-FSXT and TR-14ES-FEXE. Polypropylene. Springs are NOT INCLUDED.